The whale was dragged to the butcher shop and cut up into steaks behind the tarps and shutters. When we see a dead whale we are usually disturbed by their death, they see one and put it in the oven! This was another day spent with the devil and the devil laughed loud…. I will never dance his tune but he can certainly play an evil trumpet….. 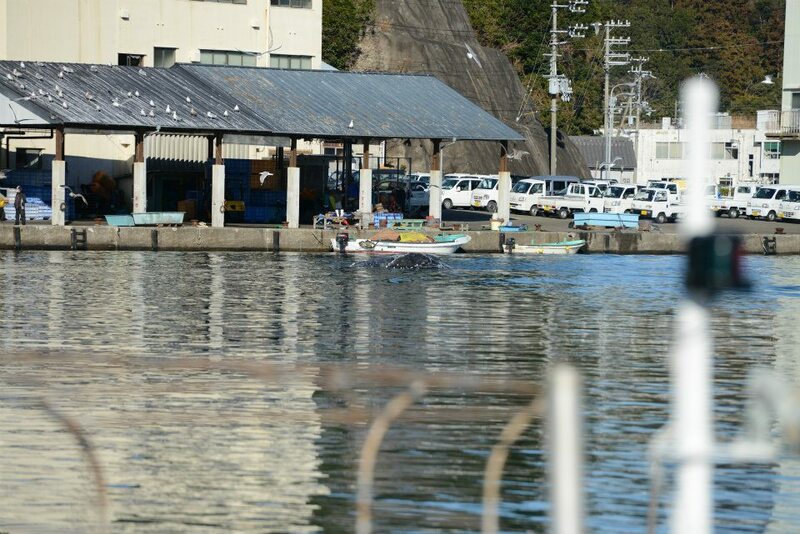 This entry was posted in Taiji Terror Tales and tagged japan, Taiji, whales. Bookmark the permalink. Another life wasted at the hands of men. Tragic.